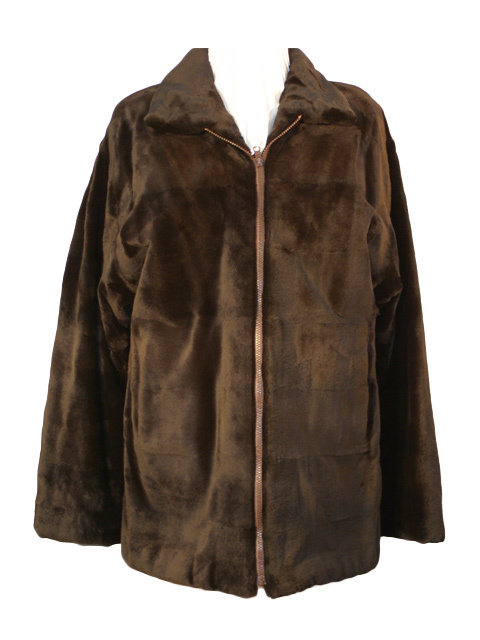 Brown Sheared Mink Jacket Reversible to Taffeta. This jacket is size 14. This is two jackets in one since it can be reversed to taffeta on the outside and the fur against your skin for those rainy cold days. Wearing the fur on the outside looks rich and very luxurious.